Even if you are striving to create a paperless (or less-paper) office, some documents and communications require hard copies. 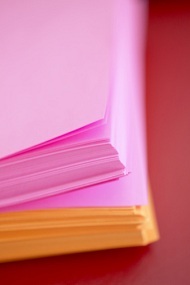 Sandia Office Supply of New Mexico carries a wide variety of office paper supplies to meet your needs. Many of our office paper supplies designed for use in your inkjet or laser printer are designed to minimize jams and dust in the machine. Office Paper Supply Made in the U.S.A.
Sandia Office Supply is proud to offer office supply products made in the U.S.A. Among our selection of American-made products is domestically-milled and manufactured commodity paper (multi-purpose, 20 lb. paper selections). We are committed to sustainability initiatives both in how we run our business and in our selection of product suppliers. Earth-friendly vendors and products are featured in our Green Only catalog. We offer over 7,000 products, including office supply paper products and other office accessories, that have been green-certified by third party agencies like Forest Stewardship Council (FSC) and Energy Star. Sandia Office Supply can help you keep your business running smoothly at the same time we help you move toward earth-friendly operations—whether you’re located in Albuquerque or anywhere else in the country. Promote environmental sustainability and economic stability by choosing our responsibly produced and American-made office paper supply products. Call 505-341-4900 to order your office paper supplies from Sandia Office Supply today!